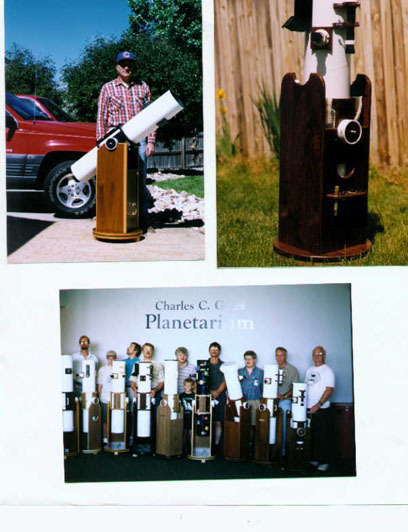 This is a six inch Dobsonian reflector I made. 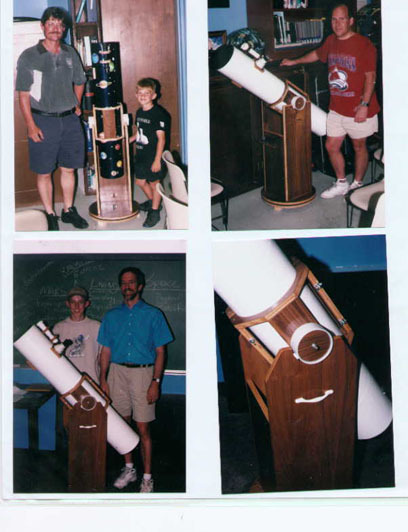 Almost everything on this particular telescope is home-made including the primary mirror. 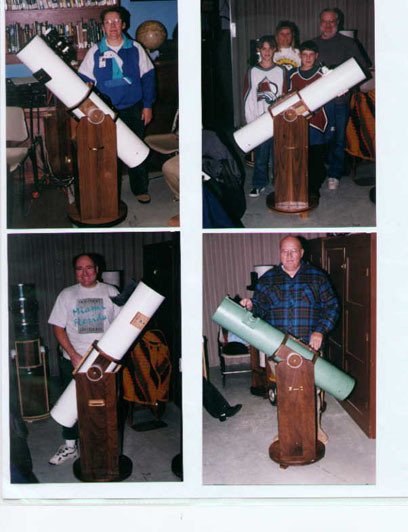 Once you have ground and figured a mirror you can claim the proud honor of calling yourself a “Telescope Nut” or T.N. The process of making a mirror is very time consuming, arcane and rewarding. It does not save you any money so it is not worth the effort for most people. 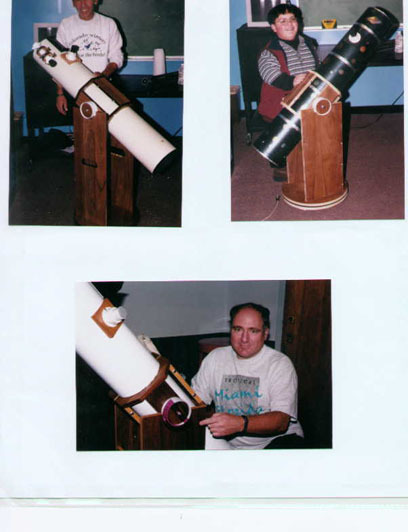 However, it is quite rewarding to look into the eyepiece of a telescope and realize that the image is produced by the sweat of your own labor. 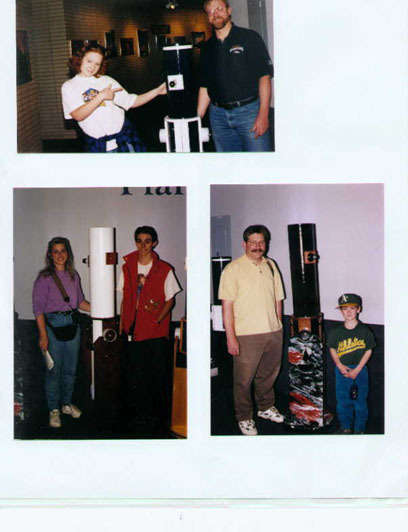 It’s almost as nifty a feeling as being able to introduce yourself to strangers as a “Telescope Nut”!! 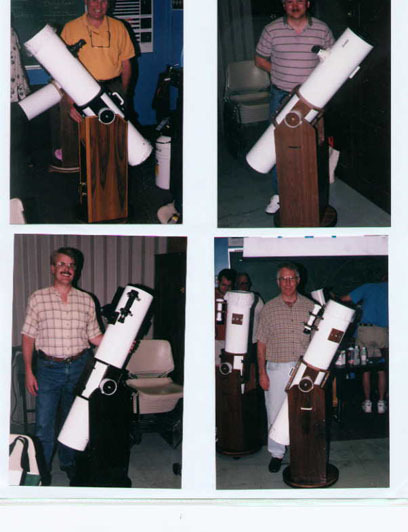 There is no ideal “perfect telescope” for all people or all occasions. 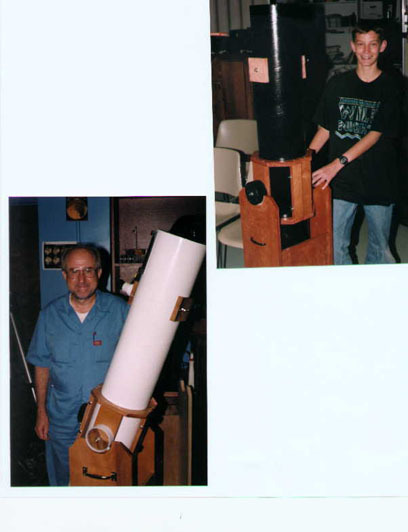 However, this scope has many great characteristics. 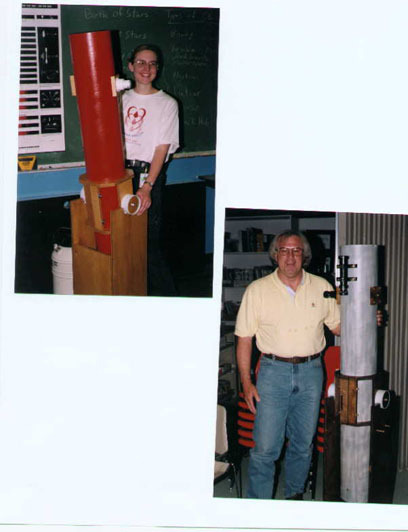 You can make a telescope like this and you dont have to make the optics. 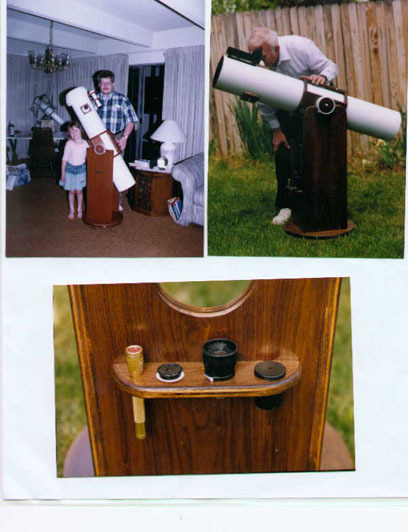 You can buy a mirror and some eyepieces. 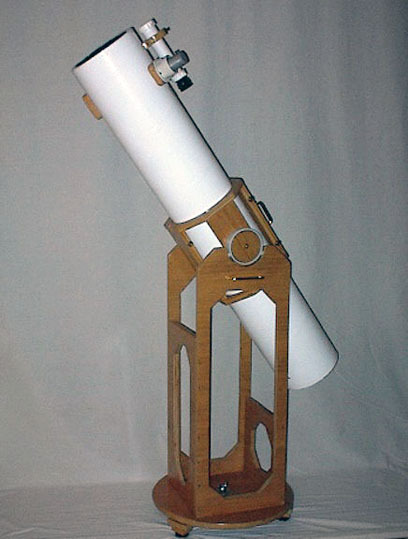 Using simple hand tools and some ingenuity, you can make a telescope like this. 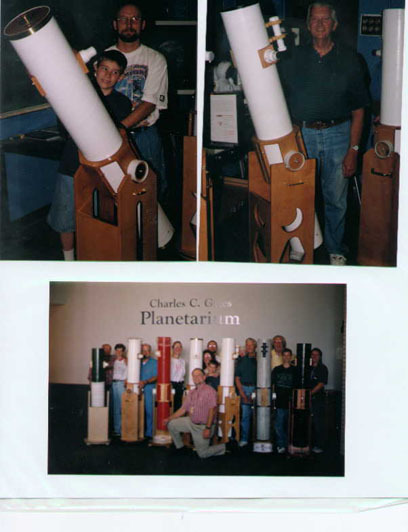 Please check out Building the Perfect telescope below. 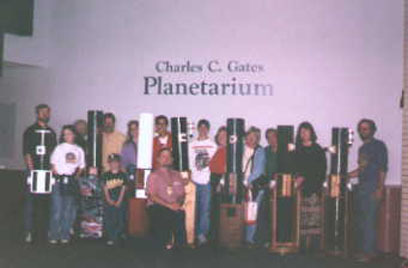 For many years I taught telescope making at Gates Planetarium. 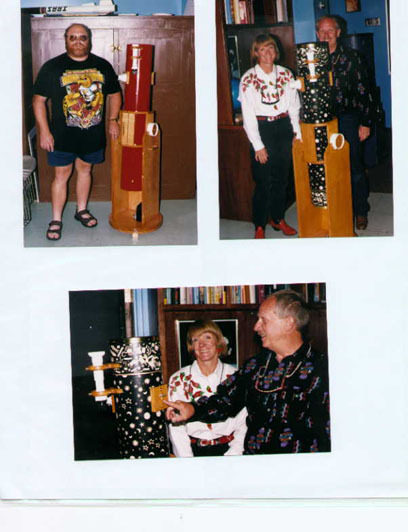 Here are some photos of ordinary folks who have built telescopes in my class over the years. 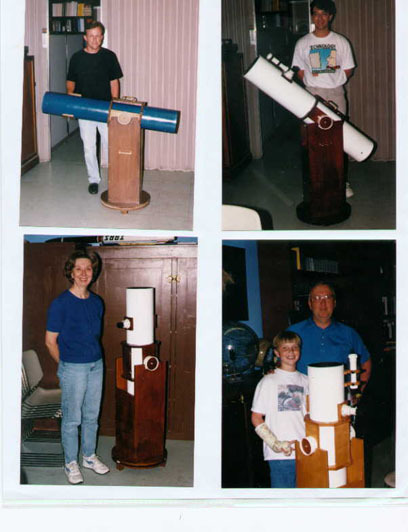 The telescopes are just like mine, except that they were built by Moms and Kids and Dads and Grandparents with no previous experience.